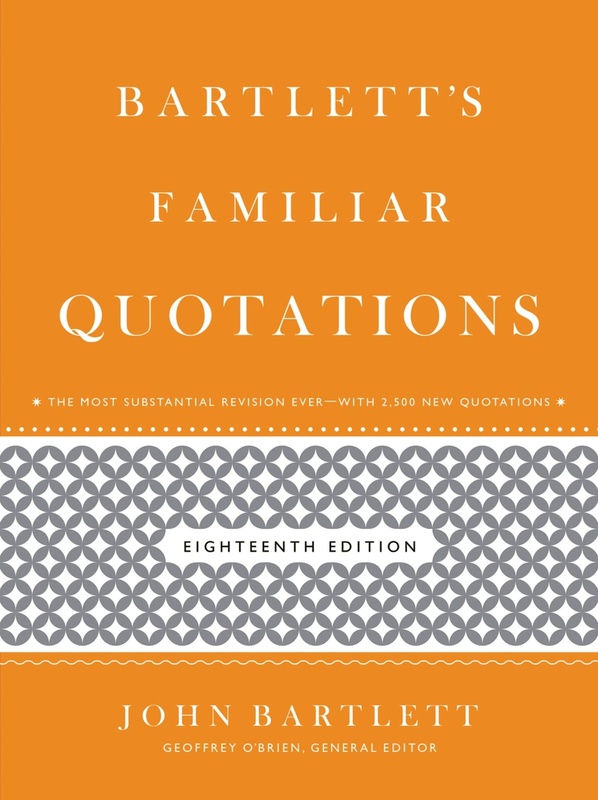 I received a terrific gift recently, a copy of the latest edition of Bartlett’s Familiar Quotations. (18th ed., 2012). It’s a behemoth of a book, clocking in at just over 1,500 pages. …and so, so much more. Buy, borrow, or be gifted a copy and enjoy. Many thanks to Tom and Phyllis Schaaf for the kind gift that inspired this blog post! I grew up on this at my grandmother’s! You’re lucky! I’ve never before spent quality time with this book. What fun!